With WebVR we are finally ready to create first-class Virtual Reality experiences using Open Web technologies. WebGL being able to render 3D graphics gives us infinite possibilities when building for the browser. These APIs allows VR content to be published and consumed on the Web almost instantaneously from any capable device. 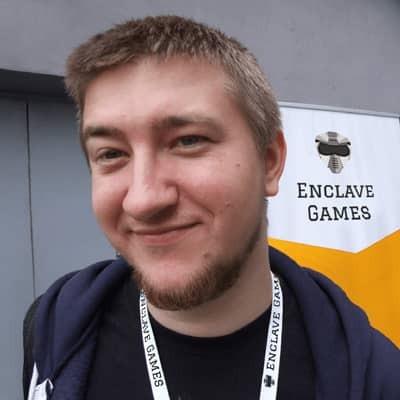 Andrzej is an HTML5 Game Developer and Mozilla Tech Speaker, Enclave Games indie studio founder, js13kGames competition creator and Gamedev.js Weekly newsletter publisher. He runs Gamedev.js meetups, workshops and hackathons in Poland, is passionate about new, Open Web technologies, excited about WebVR with A-Frame and PWAs. Likes eating sushi and playing Neuroshima Hex.